This set includes both 2D and 3D versions of the film. The picture comments above reflected the 2D edition – how did the 3D representation compare? Visual quality remained very similar. The 3D may have been a smidgen darker, but that was a minor change, so the movie usually looked just as good. 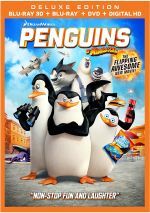 An extravaganza of vivid effects, the 3D Penguins delivered consistent material that used the stereo possibilities well. Depth seemed strong, and the movie provided many fun “pop-out” moments. Without question, the 3D Penguins became the most enjoyable way to watch the film. The 2D disc opens with ads for Home and Night at the Museum: Secret of the Tomb. Sneak Peek adds promos for King Julien and Turbo: FAST. A third disc provides a DVD copy of Penguins. It includes “Top Secret Guide”, “Mash-Up”, “Dibbles Ad”, the gallery and the ads. As a spotlight for minor Madagascar characters, Penguins of Madagascar offers intermittent entertainment and no more. While it keeps us moderately amused, it feels inconsistent and less than fulfilling. The Blu-ray boasts excellent picture as well as very good audio but it supplements lack depth. 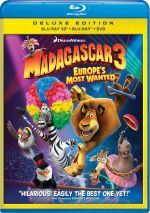 Madagascar fans may get some enjoyment from the film, but it feels like a minor diversion at best - one that does fare nicely in 3D, though.